So I grew up in a middle class family in England, which meant in those days we had four servants, a cook, a housemaid, a nurse maid and a gardener, and our friends all belonged to that class of society. Looking back, it's extraordinary how comfortable we were. And all our families were school teacher families. My father was a school teacher, and we lived in this little community in Winchester. It was a private school but the teachers were of amazingly high quality and lived in what would now be considered rather lavish style, but in those days they didn't have all that much money, the servants mostly got very little wages, but they got free board and lodging and it was a little bit like the ante-bellum South, the slaves knew their place but we considered them to be happy. 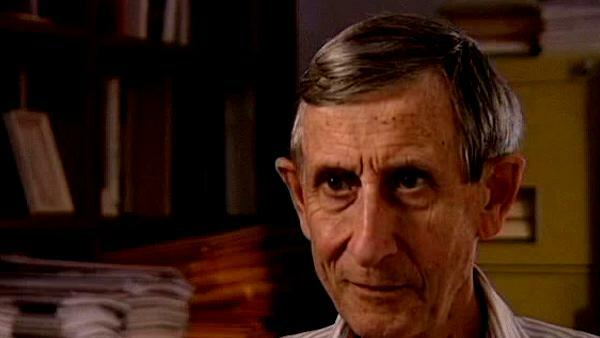 Born in England in 1923, Freeman Dyson moved to Cornell University after graduating from Cambridge University with a BA in Mathematics. He subsequently became a professor and worked on nuclear reactors, solid state physics, ferromagnetism, astrophysics and biology. He has published several books and, among other honours, has been awarded the Heineman Prize and the Royal Society's Hughes Medal. Silvan Sam Schweber is the Koret Professor of the History of Ideas and Professor of Physics at Brandeis University, and a Faculty Associate in the Department of the History of Science at Harvard University. He is the author of a history of the development of quantum electro mechanics, "QED and the men who made it", and has recently completed a biography of Hans Bethe and the history of nuclear weapons development, "In the Shadow of the Bomb: Oppenheimer, Bethe, and the Moral Responsibility of the Scientist" (Princeton University Press, 2000).